The International Museum Day is a world event organised annually by the ICOM (the International Council of Museums). 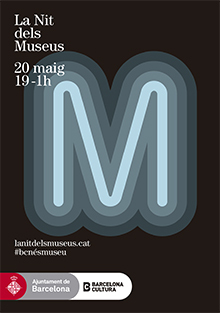 On the occasion of this celebration the Museu Picasso opens its doors. Admission free from 9 to 9.30 pm. More than eighty museums of Barcelona and the Metropolitan Area open their doors, free of charge, until the early morning. Free admission from 7.00 pm to 1.00 am. Visit us on the occasion of this celebration!